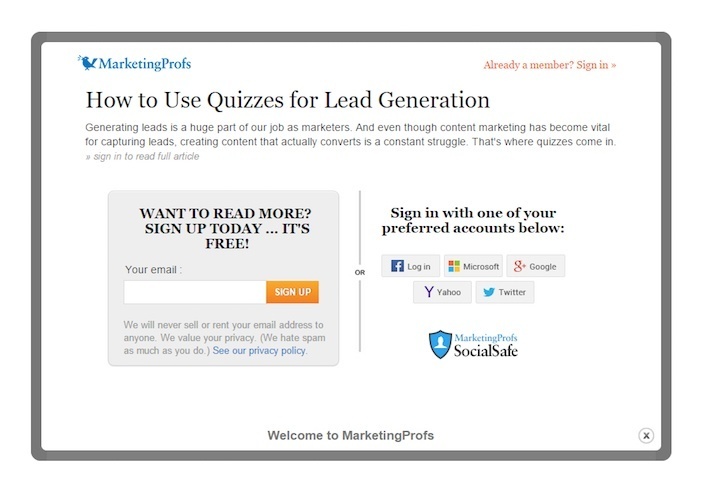 #LeadgenerationMarketing- Have you done with this? As marketers, we spend absurd amounts of time and resources creating content and planning campagns. For many of us, the end goal is to generate new leads that will eventually become paying customers. We know that a steady stream of leads is an essential component of keeping a business afloat – but coming up with original and effective ways to attract and convert qualified leads is easier said than done. Nearly twenty years later, everyone from stay-at-home moms to Fortune 500 companies operate blogs for a multitude of reasons. Today, HubSpot reports that marketers who prioritize blogging are 13x more likely to enjoy positive ROI.Here are a few more reasons why you should, too, for your lead generation marketing efforts. By crafting posts that educate your customers on your product or service and the industry it’s in, you position yourself as a go-to resource in your audience’s time of need.Not only that, the more valuable pages you publish, the more favorably search engines like Google look at your website. As a result, you’ll attract more visitors via search.In fact, companies that have embraced blogging receive 97% more links to their site. And, as we all know, inbound links are one of the most important factors Google takes into account when ranking your website. But what happens when visitors get there? You want to pull them in, capture their attention, call them to action, and turn them into customers. Here are some techniques to improve your lead generation marketing strategy. A call-to-action is just that — a way to compel your reader to take action. They’re necessary for landing pages and in ads. Surprisingly, they’re quite underused in blog posts. If you’re writing a post, like this one, on how to generate leads, try including a link in the text of your post (like the one in this sentence) to a relevant ebook or whitepaper. … then you’ve seen one of the most popular ways to generate blog leads today. The Hello Bar spans your page and includes a CTA which helps you drive traffic to landing pages & squeeze pages without being overly invasive. 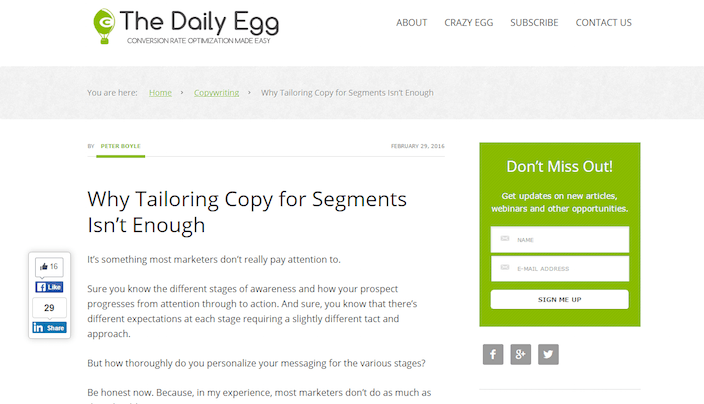 If users aren’t compelled to click immediately, it follows them as they scroll to read your blog post. Just because you offer people free ways to improve their business doesn’t mean you can’t hold a little something back for those who are willing to give a little extra in exchange for more information. Tease your readers with exclusive content that can help them even more than free access to your blog can. 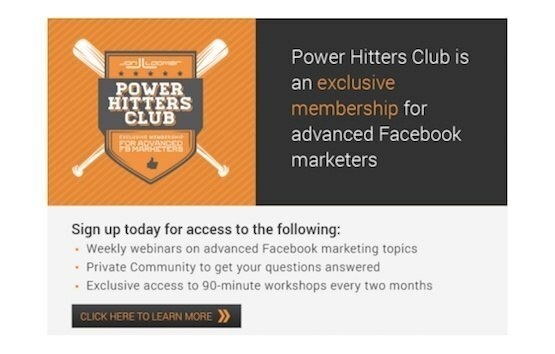 Facebook marketer Jon Loomer has a completely exclusive section of his blog called “Power Hitters Club,” which expands on concepts that he mentions in regular posts. The key to doing this right is providing value in your regular blog posts, but going even further in depth with your exclusive content. For example, Jon offers great insight on his blog, but for Power Hitters, he hosts live, 90+ minute workshops that break down into detail the free content he touches upon on his blog. If you’re the owner of an ecommerce website, a great way to generate leads is by offering your blog readers a chance to buy products at a discounted rate. WordPress offers a plugin that will allow you to direct your website visitors to a lead capture page before they even reach your blog. Keep in mind, this is a more “in your face” tactic as opposed to the other passive ones we’ve mentioned so far. As such, it can be an annoyance to your blog visitors. 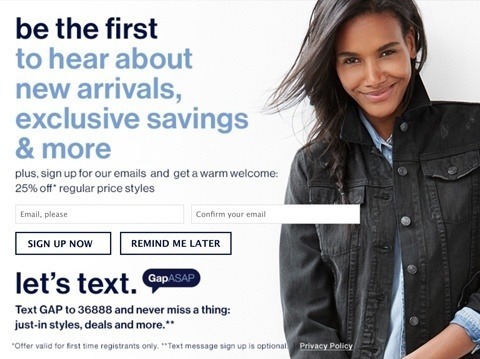 Always A/B test to make sure it’s helping your conversion rate more than hurting it. You’re reading and scrolling towards the bottom of a blog post, when out of nowhere, a box in the lower right-hand corner of the page slides in, inviting you to download the company’s latest white paper. With these, you can offer some of your most dedicated readers (those who actually make it most of the way through your blog posts) valuable content related to what their reading. At Instapage, we like to pack our blog posts full of content. We like to include images, examples, and case studies that prove all the points we make throughout. But sometimes that’s too much to digest for some readers. Not everybody has the time to make their way through a 2,000+ word blog post. And we get that. So we offer shorter, downloadable summaries in exchange for a name and email, for those who want to get the key takeaways without having to read the entire blog post. In many cases, the two most common causes of conversion rate death are ignorance, and neglect. Today we’re going to solve one of those problems by showing you some silent killers that could be lurking on your landing page. It’s not too late to save your conversion rate! Armed with these tips and a fully customizable landing page software, you’ll be able to alter your landing pages without IT, to begin bringing your conversion rates back up to where they belong. Import your own landing page, or start fresh today with one of Instapage’s 100+ templates! The summary above is 170 words, much shorter than the full blog post (about 1,500 words). Do you see how a blog article summary can be a beneficial lead gen tool? Margin banners are a staple of nearly every blog you’ve read. Most of the time if you look to the right sidebar you’ll notice a CTA that attempts to get you to download content or sign up for an email list. So far, all the solutions we’ve shared about turning your blog into an online lead generation machine are mostly passive. This one requires a little more effort on your part. First, what you’ll need to do is identify influencers in your industry. Search social networks to find accounts that have a massive (and most importantly, engaged) following. Second, you’ll need to put in the effort to engage them. 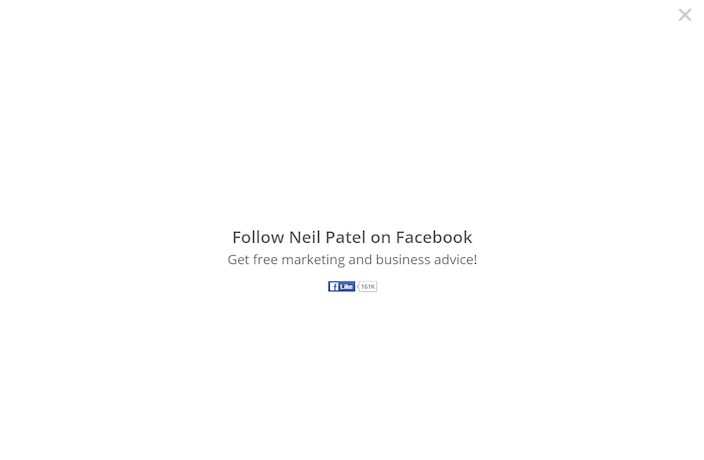 “Like” their content on Facebook, retweet it on Twitter, and comment on their blog posts. The important thing is to make yourself recognizable to them. The more they see your logo, or your personal photo, the more familiar you become to them. Third, you’ll need to reach out to them in a way that no one else is. Influencers get thousands of emails a day asking to promote a brand, product, or a blog post. Keep your tone friendly and relatable to increase the chance that you get a positive response. It’s long been known that the “comments” section of an article is one of the best places to generate qualified leads. Because these are the people who care enough about your content to engage with your brand — to ask questions, give kudos, or provide suggestions. The next time someone asks you for more information on a particular point in your blog post, answer it not only with a well-thought-out comment, but include a CTA to a landing page where they can download an ebook or whitepaper to get even more information on the subject. Keep in mind that sometimes blogs don’t allow links be published in comments for fear of commenters filling it with spam or shameless brand promotion. So use this technique, but sparingly. So you’ve finished reading that blog post but have yet to take action anywhere on the page. No matter. You got what you came for, and now you’re ready to navigate back to LinkedIn, Facebook, Twitter, or wherever it was that led you to where you are now. So you move your cursor up to the top of the page, preparing to type a new URL or hit that little red “x” in the corner when all of a sudden your entire screen is monopolized by a pop-up. Some of the web’s most prolific marketers employ the use of these to do everything from gain Facebook fans to generate leads. Use them as a last-ditch effort to try and turn your visitor into a lead before they leave your site. 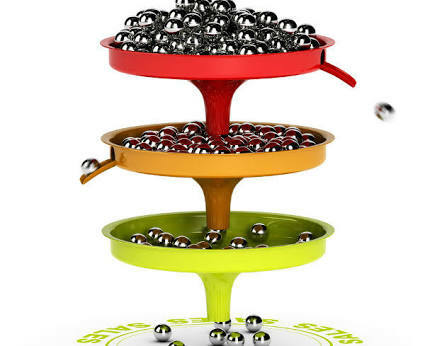 Generating leads is a top priority for most small businesses going into 2016. 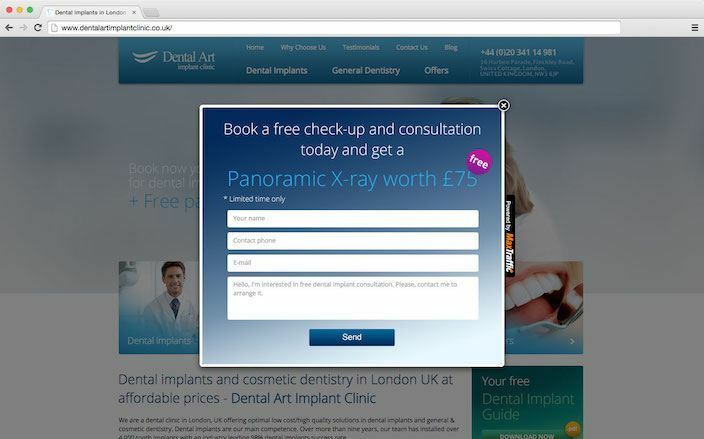 So create a landing page in minutes without the help of IT. Then drive and convert your blog readers to your landing page using these 12 tips to turn your blog into a lead generating marketing machine. Previous Post #MillennialsMarketing-Decodeing Millennials, How Brands In India Engage With Millennials? Next Post Bid Management(PPC)There is no such thing as a bad keyword, there are only bad bids.